The Syndicate, the band formed by several members of the Zawinul Syndicate in order to carry on Joe’s legacy, has several concerts scheduled for this spring. The Syndicate features four members of the final edition of the Zawinul Syndicate: Drummer Paco Sery, percussionist/vocalist Aziz Sahmaoui, percussionist Jorge Bezerra, and guitarist Alegre Corrêa. 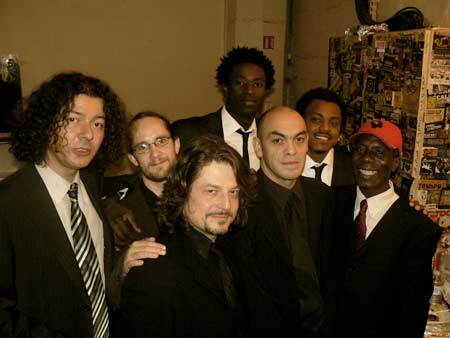 Additional members are Aloune Wade on bass, Emile Parisien on sax, and Thierry Eliez on keyboards. The following concerts are scheduled for next week: Mar. 16, Moods, Zurich, Switzerland; Mar. 17, Blue Note, Milano, Italy; Mar. 18, Porgy & Bess, Vienna, Austria; Mar. 20, Jazzhouse, Copenhagen, Denmark. Additional concerts on the books for this year are: May 1, Budapest; May 19-22, Festival Abidjan, Ivory Coast; Jul. 24, Parc Floral, Paris; Aug. 27, Güssing, Austria; and Nov. 26, Prague, Czechoslovakia. I haven’t heard this band, but my guess is that this is as close to the Zawinul Syndicate as you’re going to get without Joe. If anyone reading this does attend one of their concerts, drop me a note and let me know what it was like. 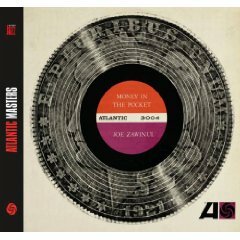 Warner Jazz has reissued a remastered edition of Money In The Pocket, Joe’s first album recorded in the United States under his own name. Originally issued in 1965 by Atlantic Records, this was the first of three albums Joe recorded for Atlantic Records and producer Joel Dorn, the others being Rise And Fall of The Third Stream, and 1970’s Zawinul. So far as I know, it is only available in the UK, but stateside fans can purchase it via Amazon UK.